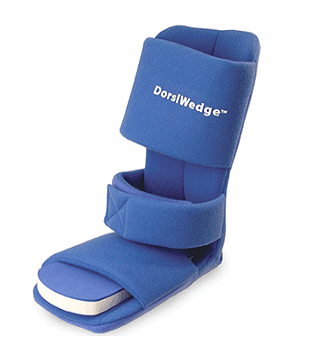 Night Splint Dorsiwedge Blue Foam Small Ankle Leg 7981403- 1 Each. 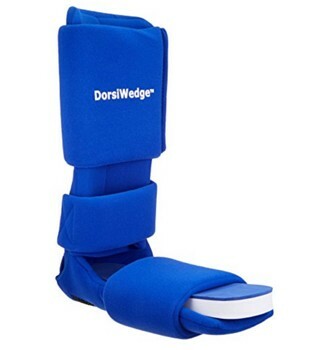 Soft and Padded Blue Foam Ankle and Leg Night Splint worn at night. Helps relieve ankle and heel pain while you sleep. Small Size Fits Men's Shoe Size 6 and Women's Shoe Size: 6.5. 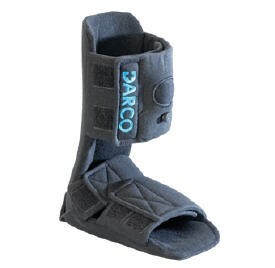 Offers 10 Degrees of Foot and Ankle Dorsiflexion. Provides a Gentle Stretch to the Plantar Fascia and Achilles tendon resulting in Increased Flexibility the Following Day. Shipped with Toe Wedge for additional stretch on plantar fascia.